rocky's bru: The sins of the father? 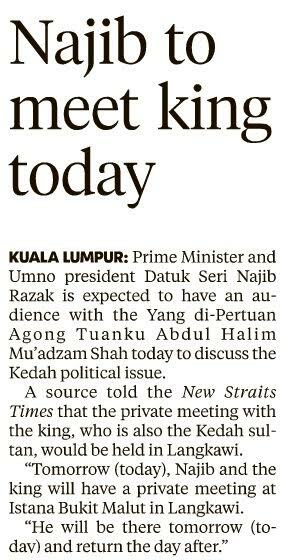 It's Najib Razak who will be singing Dr Mahathir's signature number in the days to come. Such is politics. But if the PM decides that Mukhriz Mahathir's position is no longer tenable, given that it does look untenable, he will find the younger man a suitable role to assume on his team. It is hard to imagine Najib kicking out anyone for good. He brought in Saifuddin Abdullah despite an unacceptable defeat in the last GE, placed many ex-Umno people who had left Pakatan to serve him in many important posts, including Senatorships and as ambassadors, and retired several seemingly useless and meaningless ex-Cabinet Ministers in cushy corporate nests. 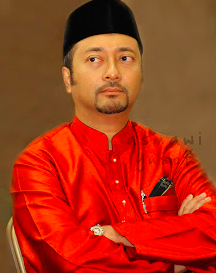 Mukhriz oozes potential. With the right position and environment, he'd fulfil his promise. 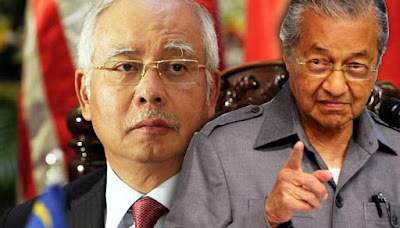 I'm not going to beat around the bush: the so-called coup against Mukhriz Mahathir is the inevitale implication of the actions of his father, Tun Mahathir Mohamad. Not the only reason, for sure. The Menteri Besar has not performed and has failed to deliver, they said. He spent too much time in Kuala Lumpur, others complained. But those are by-the-way factors, if true. The main reason why the Umno leaders in the state want Mukhriz replaced is because Mahathir has decided to keep up attacks on Najib Razak, come what may. You didn't expect all the President's men (and women) in Kedah to remain idle, did you? Sooner or later, something would give. Inevitable. I like Mukhriz. There's nothing not to like about the man. He's not just a nice man but a very nice man. But nice men, I am reminded often, don't win wars. That's why daddy has been winning all the battles he'd chosen to fight before this. That was why Pak Lah was doomed from the start (the people around him were nasty but Pak Lah was a nice man). And the reason why Najib is still standing long after they expected him to drop dead (politically) after Mahathir had launched his incessant attacks late 2014, abetted by the Opposition and other foes in general. Mukrhiz says he's a rakyat's MB by the Sultan's consent. But he was picked and put there by Najib Razak. 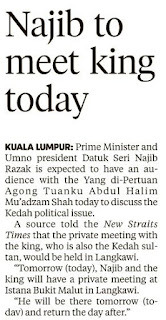 The PM and Umno President is his Boss, whether he likes it or not. He won't be the first MB to be removed and he won't be the last for failing to show support for the Boss. Only two men, together, can save Mukhriz now. Mahathir and Najib. What are the chances? Will Mahathir ease his attacks on Najib to ensure his son's political survival? I don't see Najib's ex-boss going on the defensive. On the contrary, I expect the attacks on Najib to intensify. "That was why Pak Lah was doomed from the start (the people around him were nasty but Pak Lah was nice)." "......the people around him were nasty?" Does that include you Latuk? "Only two men, together, can save Mukhriz now. Mahathir and Najib." But who can save Najib? Financial interest, or national interest? Good guy(perceived) or not, the blood of his father flows through him. Good riddance to the spawn of the devil! Its the father's courageous deeds that got his son in trouble! Your posting title is at best shows your "licking" attitude to Ah Jib thus confirming your sins in his payroll..and no Ah Jib did not put Mukhriz there! Ah Jib was forced to appoint Mukhriz to win KEDAH..and it is Allah SWT will...and insya Allah...Ah Jib and his goons will fall very soon. Nocando. Either Najib is going back his words or his people dont listen to him. Remember what he said to resolve the problems internally. Bru... I am very dissapointed in u. U are supposed to be good in reading between the lines or u are playing safe. Either reasons u are totally screwed up like the politicians esp. after getting paid by them. All those attending the PC to oust Mukhriz are MPs with vested interest. The ex-MB who lost Kedah to PAS in GE12 also supported them in TV3, by phone from England. (Why Najib looked-up too much to ex-colonist, I really don't understand). The worst part was that an MP holding a religious portfolio was also there and he was recently alleged to have misuse funds destine for orphans, to play golf in the US. One thing is sure. This cannot be for the good of Kedahan and Malaysia too. Looks like everything is about 'Cash is King' and the Rakyat is the last thing in the minds of Najib's cabinet members. Therefore, Yes Dato Rocky, the attack on that lame PM will intensify. One more thing, Dato Rocky. If Najib had not made the promise to make Mukhriz MB during GE13's election, do you think UMNO/BN could wrestle back Kedah from PAS? Do you know which State seat Najib made Mukhriz to contest? Air Hitam was a PAS stronghold. Do you know that those delegates were called to attend a divisional meeting, not knowing that a PC was to be held instead, hosted by Ahmad Bashah, to oust Mukhriz? I'm really pissed-off with UMNO, now. saja nak Tanya tok ! geran bantuan tlh d terima ke bagi 2016? jgn marah bergurau sahaja. I totally agree wth most that just like pm, mukriz is leaving on borrowed time. he may either end up loitering in d wilderness n najib may unfortunatell end up in bamboo river. we r living in very interesting times. Rocky ruckus, you're in deep transgression and it ain't your papa's fault, no boy! Nak tunjuk pada rakyat semua yg mahathir buat hanya utk masa depan politik anaknya? Itu shj idea yg mampu kem najib berikan? Bila mamak diam membisu dan menurut kemahuan ketua bahagian, apa najib mampu raih? Kenapa tiada seorang pun membangkitkan persoalan mahu menjatuhkan pemimpin islam? Tindakan tidak demokratik atau tidak menurut perlembagaan? Adakah kedah sudah begitu selesa atau sudah begitu tenat hingga mahukan mb baru? Atau memang badi dikedah semenjak zaman pas lagi? Negeri selangor sakit semenjak dulu masih gagal diubati, tapi negeri sihat diberi racun. Dimanakah demi agama bangsa dan negara disebalik tiap perbuatan najib? He IS dead. A walking dead. A zombie. He is wondering desperately in search for a final home. He is eyeing the blue mosque but his bff is waiting for him at the local national mosque. But, friends for live, is for the living only! He will continue his killings until he rot himself. In the meantime, he IS dead. A walking nasty dead and the dead one has no mercy. Now the war been extended to the sons, though in Malaysia, this is not new. Previously, it's the in-law's. In a war, casualties abound. Those who started it, must have make the necessary calculations, to make it winnable. They better be. War history is full of surprises. To Datuk MM, now you will know your true friends and turncoats. To the voters, they now know who they have chosen previosuly and who will they chose in the next round. DSMM, please dont give-in. It's a war you did not started. Finish it! Nagib Razak is further digging deeper his and BN grave by removing Mukhriz. He should whack the traitors asking for Mukhriz removal by giving petty excuse to prove to the voters that such action is uncall for. If they can fired those grass root Sepang UMNO leader for demanding Nagib Razak to step down, what is the difference with the action taken by this so call warlord of Kedah UMNO?? Is not the offence is the same?? They should all be fired - only THESE action will turn the silence voters trust back into UMNO / BN. Only idiots survive in UMNO. Looks like Cash is king guy miscalculate the amount to bribe kedah umno branch chief, only 54 came to show their discontent of muhkriz. Next time benchmark payment against Sharil payment then more will come to Pwtc to show their dissatisfaction of muhkriz. Sins of the father only the children has to endures. Whereas sins of a son the whole Malaysians suffer. Sure the Palace will love him?